You are here: Home / A-Blog / Fox Marks 67th Quarter As No. 1 Cable News Network. Fox News marked its 67th consecutive quarter as the leading network in cable news this month. FNC, which is celebrating its 22nd anniversary this weekend, finished the third quarter of 2018 as the number one cable news network across total day and primetime viewers. According to Nielsen Media Research, Fox averaged 1,401,000 million total viewers in the total day category and 2,457,000 in primetime. 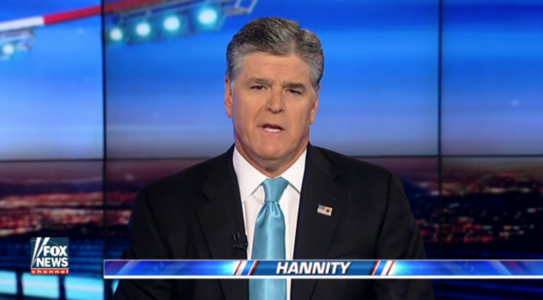 “Hannity” was the most-watched program in cable news with 3,338,000 total viewers. MSNBC’s “Rachel Maddow Show” finished second with 2,947,000 total viewers. MSNBC finished second behind Fox in primetime with 1,859,000 viewers and in total day with 1,042,000. CNN finished seventh in primetime and fifth in total day. Fox’s primetime numbers are up 14 percent compared to the same time last year, while MSNBC’s primetime numbers are up just 6 percent. MSNBC is outpacing Fox, however, in growth in total day viewership; they are up 10 percent while Fox is up 3 percent. CNN is down 5 percent in primetime and 9 percent in total day. Fox Business also marked its eighth consecutive quarter ahead of business news competitor CNBC.